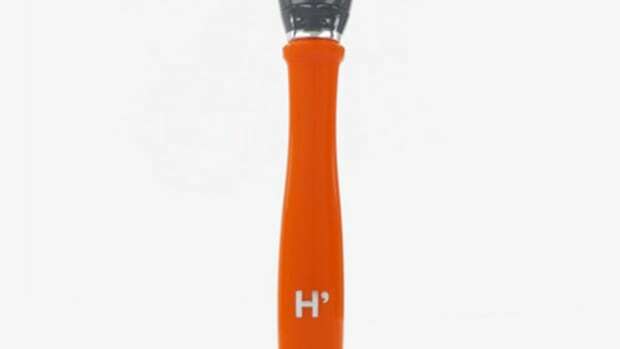 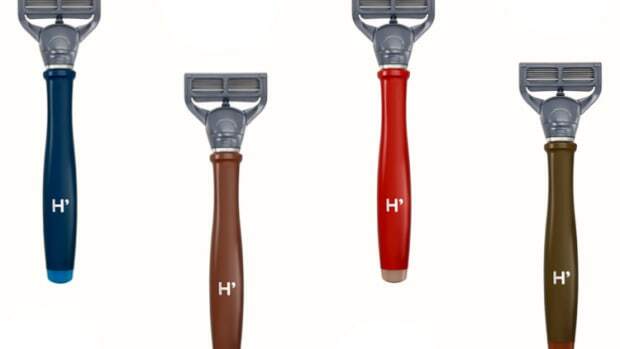 Harry&apos;s and Thom Browne have teamed up to dress up their razors in Browne&apos;s signature duds. 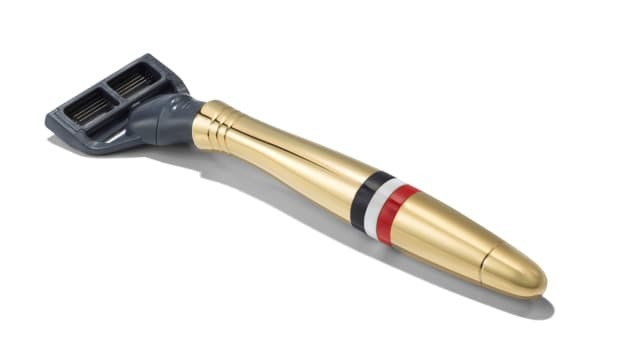 The brand&apos;s trademark red, white, and blue stripes have found their way to their razors which have been electroplated in your choice of 24k gold ($250) or sterling silver ($150). 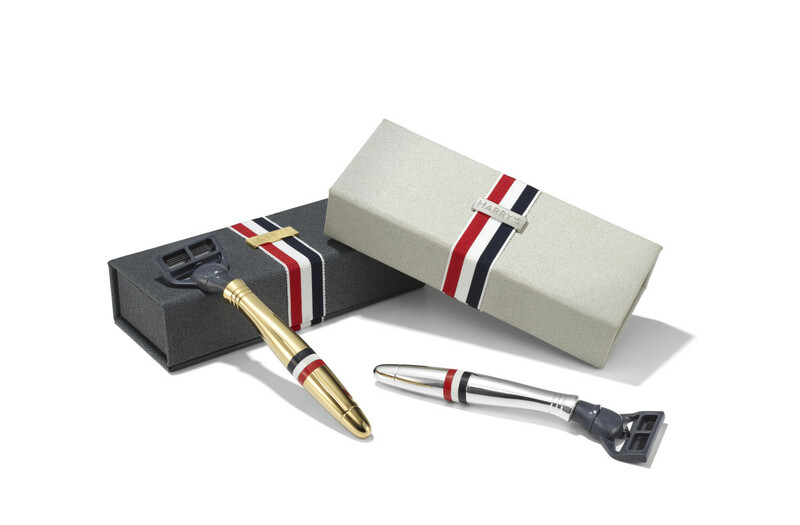 The stripe rings are done up in a high-gloss polymer and each comes in a leather case wrapped in grosgrain ribbon. 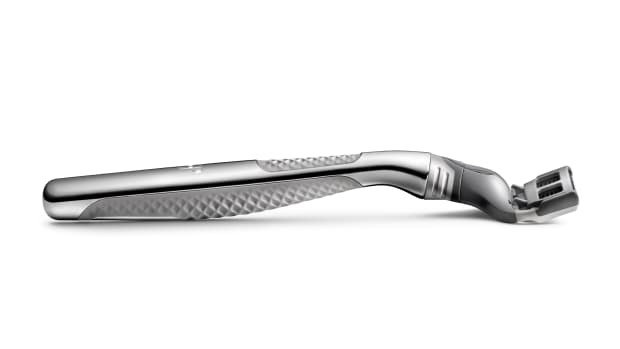 The limited edition razors will be available exclusively at Barney&apos;s this Friday, August 14th.